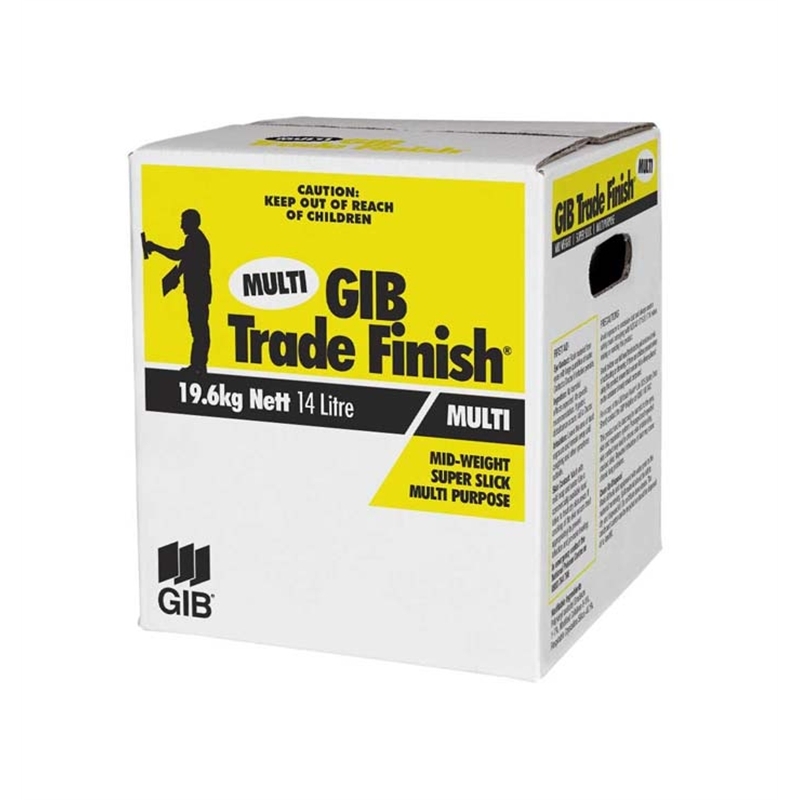 GIB Trade Finish® Multi is a new premium mid-weight compound and is suitable for use on all three coats. 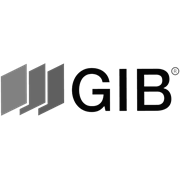 It's sanding and scratch resistance characteristics are balanced between the easy to sand GIB Trade Finish® Lite and the more scratch resistant GIB Trade Finish® Heavy Weight. 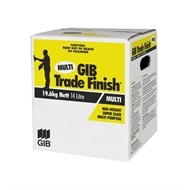 This ready-mixed air-drying compound can be used straight from the pail and has been formulated for use with machine tools or hand application.